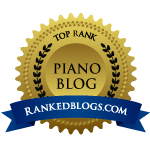 P is… for Piano Parents & Practising! Practice should reflect age and level. Five to ten minutes of practice at a time for a very young beginner is usually good. For those starting out regardless of age, five to ten minutes per day, moving to two sessions per day of that duration, is recommended to gradually build both concentration and engagement. Practising isn’t just about playing…..
"Practice only on the days you eat" (Dr Suzuki) I've adapted this text from an American website which is encouraging students to do a '100 Days of Practice challenge'. Playing the piano requires development of muscular coordination and mental concentration, skills that are best acquired by consistent and careful daily practice. Designated practice time each… Continue reading Practising isn’t just about playing…..